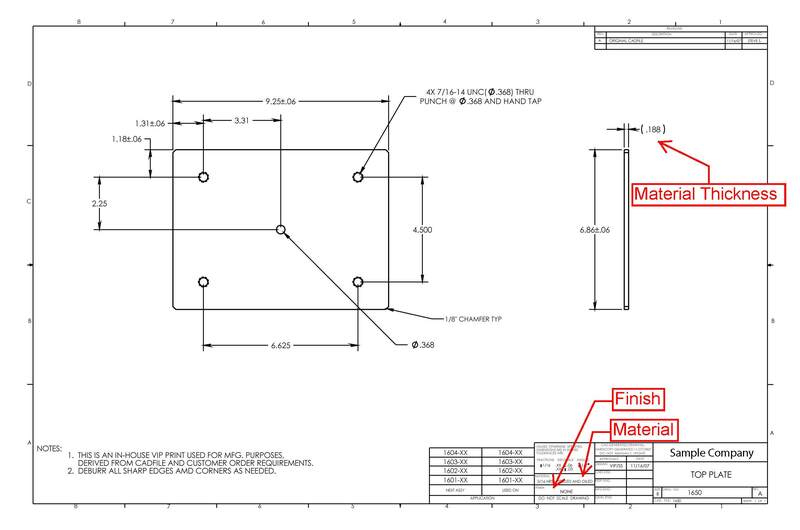 cad drawing | Vista Industrial Products, Inc. Some mechanical engineers learn how to draft prints from work experience, and others from schooling. Many times, the two engineers design parts very differently based upon their experiences. Therefore, some engineers include everything in their prints, while others may leave out information. Below is a general idea of how a drawing should look. It should be fully dimensioned with material type, material thickness, finish, critical dimensions or specs, revision, hardware call out, etc.